For other uses, see Fourka (disambiguation). 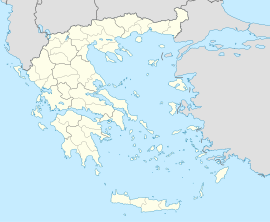 Fourka (Greek: Φούρκα, Aromanian: Furka) is a village and a former community in the Ioannina regional unit, Epirus, Greece. Since the 2011 local government reform it is part of the municipality Konitsa, of which it is a municipal unit. The municipal unit has an area of 32.374 km2. Population 90 (2011). The inhabitants of Furka have traditionally been Aromanians (Vlachs). This Epirus location article is a stub. You can help Wikipedia by expanding it.